Preheat the oven to 375 F and line baking sheet with parchment paper. In a bowl stir together softened cream cheese, shredded cheddar and mozzarella, salt, pepper and garlic powder. Stir well to combine. Add shredded chicken and stir again to combine everything evenly. Unroll crescent rolls, separate them and divide the filling between 8 big crescent rolls. Roll them up tightly, seal well and arrange them onto baking sheet leaving 2 inches apart. 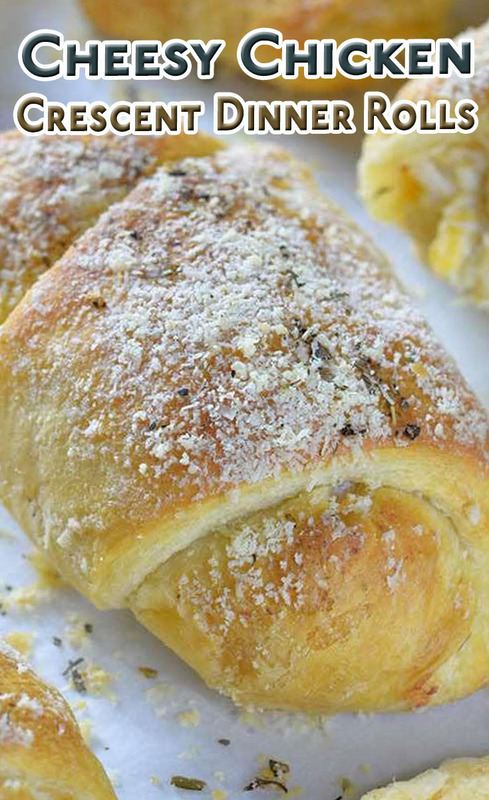 Brush the rolls with melted butter and sprinkle with grated parmesan. Sprinkle a hint of dry Italian seasoning on top and bake 15-18 minutes until golden brown.